When you visit a doctor, he determines your health by two methods. First, he collects the numbers. Then, he asks you the questions. The first step is quantitative. These 18 important numerical measures for your church give you the numbers side of evaluating your church’s health. The second measure is qualitative. 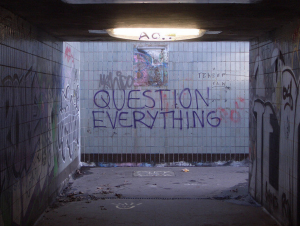 Qualitative insight comes from asking questions. Your church’s most important event is its weekend service. You have fifty-two of them, and they come with striking regularity. If you’re not careful, you can put these on automatic or maintenance mode. When you do that, your services start to flatline. A worship service is supposed to be a corporate encounter with the living God. We never want to assume we’ve developed the perfect formula for making that happen, or take for granted that showing up each week will produce a dynamic experience. Good churches think of their central worship service as their lamb sacrifice to God. They want to present a lamb with as few spots or blemishes as possible. This requires constant evaluation. 2. Where did God show up? 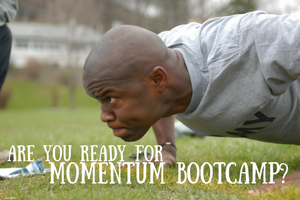 (We want to identify those moments and see if we can create more opportunities for God’s power and presence.) What did we do to allow him to work the way he did? When should we evaluate the service? If you have multiple services, try to find five minutes to evaluate immediately following the first service so that you can make mid-morning improvements before the second one starts. 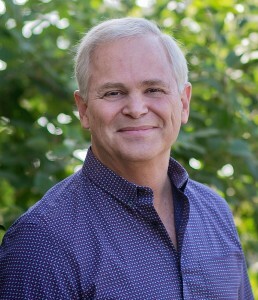 This can be tricky, since a good evaluation includes just about everyone involved in making decisions on the service, and many of those people will need to be out connecting with the congregation. To ensure brevity, ask everyone who attends to bring notes. Who should evaluate the service? The ideal evaluation team is three to seven people, so ask yourself, “Who must be there in order for the evaluation to be effective?” For New Song, our ideal group is the worship leader, tech director, and one other discerning member who was not so busy being involved in the service, but had a chance to view the service. Sometimes I, or another preaching pastor is involved, but more often we’re in the lobby meeting people and leave this to the service specialists. Mid-morning huddles are good for minor service changes. A better and more thorough evaluation should happen on Tuesday or Wednesday. A few days’ distance brings perspective and diminishes emotional sensitivity. If you have a service planning team, part of this team can get evaluate twenty minutes before the full group assembles. Once in a while, invite two or three new faces to sit in on this weekly session to help your team with any blind spots. The second most important meeting of your church is its Small Groups. 1. What went better than expected? 2. 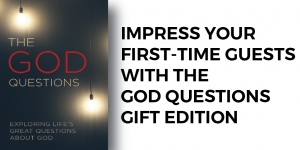 Where did God show up? What did we do to allow him to work that way? 3. What should we do different next term? 4. What did we learn that we can use in future terms? 5. Which groups are working well? 6. Which leaders are doing really well? What can we learn from them? 7. How did this session’s registration go? How can we improve that? 8. Can we and should we add more groups? 9. Who is ready to lead a group? 10. Do we need to do anything more or better about providing child care? 11. What topics or studies do we want to make sure are offered next term? If each of your ministries is done to honor the Lord, each should have a regular evaluation. This could be quarterly, semi-annually, or after the completion of its ministry season. I call these evaluation sessions, “Lamb Jams,” because I want each of our ministry teams to work towards presenting evermore spotless lambs to the Lord. A simple format for a Lamb Jamb is to take fifteen to twenty minutes to share what went well and where the Lord showed up, fifteen to twenty minutes on what could have gone better and what we want to do differently next time, and fifteen to twenty minutes in prayer for God’s blessing on the ministry and its leaders. Annual events can be easy to overlook because, after all, we did the thing and we won’t be coming back to it again for a long time. That’s just the problem: by the time you get back to planning next year, you’ll have forgotten a lot of what went right and wrong this year. I like to schedule evaluations for annual events ten days to two weeks after the event. The person who led the event should lead the evaluation. Everything pertinent should be written in a carefully-preserved notebook. Record your observations, then review them just before you begin planning the following year. 2. What went better than expected? 3. What could have gone better? 4. What was our goal, and did we accomplish it? 5. If we repeat this event, what must we be sure to repeat? 6. If we repeat this event, what must we change and/or add? Have you ever noticed that when you get out of town for a few days, you come home with a fresh perspective? There’s something about a change of scenery that helps you gain a clearer perspective. For that reason, I recommend you take your staff and Board away once or twice a year. You may wonder if it’s really necessary to evaluate your church. Trust me, everyone else is evaluating your church every weekend. Do you want to see what they’re thinking so you can fix it? 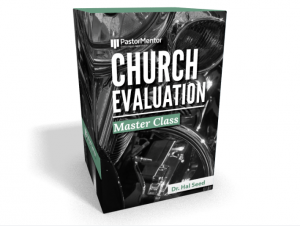 This church evaluation master class will teach you a system to measure and assess your church. So you’ll know how to lead your church to evaluate and grow. 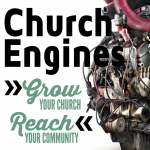 This post is an excerpt from Hal’s ebook: Evaluating Your Church to Make It Better. « How Healthy is Your Church? These 18 Numbers Will Tell You.